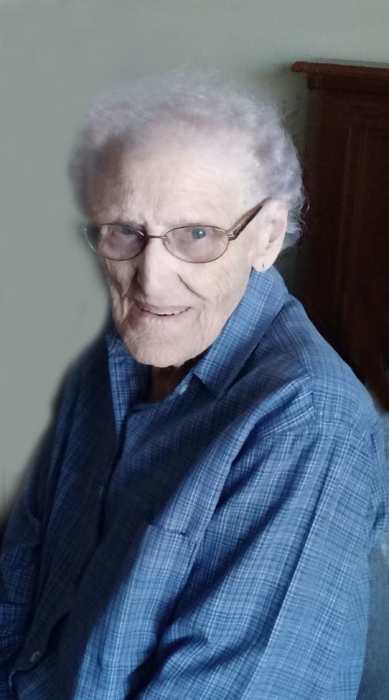 Doris Ruth Willis, age 98, of Burnsville, formerly of Connelly Springs, went home to be with the Lord on Monday, February 4th, 2019 surrounded by her loving family. A native of Yancey County, she was a daughter of the late Boss "Big Daddy" and Louise "Big Mama" Hensley Branch. Doris was the wife of George Willis, who passed away in 1965. She was also preceded in death by a daughter, Linda Ayers; son-in-law, Morris Huskins; sisters: Viola Honeycutt, Mary Jo Blevins and Bertie Robinson; brothers: C.A., Paul and Bobby Branch. She loved coloring books, watching Billy Graham and will always be remembered as a loving mother and "Mamaw". Left to cherish her memories is her daughter, Mary Huskins of Blue Rock; son, Charles Willis and Janie, of Burnsville; son-in-law, Martin Ayers of Connelly Springs; sister, Ruth Murphy of Morganton; ten grandchildren: Becky Carroll, Rodney Huskins, Kevin Huskins, Kim Huskins Ogle, Charlie Willis, Tim Willis, Joey Willis, Randy Ayers, Brian Ayers and Shannon Ayers; 26 great-grandchildren and 15 great, great-grandchildren. Several other extended family members also survive. The family will receive friends from 1 until 2 p.m. on Thursday, February 7th in the Chapel of Yancey Funeral Services. Funeral Services will follow at 2 p. m. conducted by her grandsons, Rev. Joseph Willis and Kevin Huskins. Interment will follow the services in the Lily Branch Baptist Church Cemetery. The family requests memorial donations be made to Hospice and Palliative Care of the Blue Ridge at 236 Hospital Drive, Spruce Pine, NC 28777. They would like to say a special thank you to Leigh Ann Long and Kristen Calloway at Blue Ridge Regional Hospital for the wonderful care given and also Lynnella McCurry and Megan Mencis at the Yancey House.